One of the main lessons Hizbullah learned from the Second Lebanon War in 2006 was the necessity of changing the aims of its next war with Israel. The new goals included building up its defensive capabilities and developing methods of attack that would allow Hizbullah to fight the war within Israeli territory. Hizbullah’s military commander, Imad Mughniyeh, led this process of integrating these lessons. He asserted that during the next war, Hizbullah would invade the northern Israeli Galilee region and conquer it. Hizbullah set its sights on regions which have topographical superiority in comparison to Israel’s inferior topographical positions near the border. To achieve these goals, Mughniyah prepared an operational plan that he oversaw until his death in February 2008. After his death, Hizbullah special forces, known as the “Radwan Forces,” continued their training under the command of Mustafa Badr Al-Din until the revolt broke out in Syria in 2011. 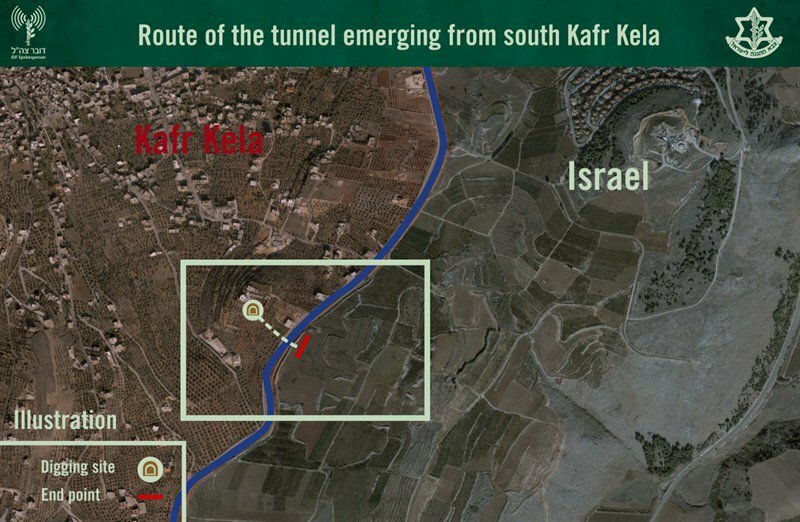 The construction of tunnels infiltrating into Israeli territory, close to Israeli communities. The tunnels are intended for the movement of several hundred fighters, and not to abduct soldiers or civilians. The model that Mughniyah visualized was that of invasion tunnels from North Korea into South Korea, which his Iranian guides had studied intensively. Hizbullah’s operational plan also includes the construction of facilities to launch massive missile attacks on population centers and strategic sites around Haifa in the north, Tel Aviv in the center, and Dimona in the south. Hizbullah’s arsenal of rockets and missiles is estimated at 100,000 – to 120,000. From Hizbullah’s perspective, the aerial attacks would attract the entire attention of Israel’s military, thereby simultaneously enabling Hizbullah to activate its plan for “the conquest of the Galilee” using its special forces. Brig.-Gen. (ret.) Dr. Shimon Shapira is a senior researcher at the Jerusalem Center for Public Affairs. He served as Military Secretary to the Prime Minister and as Israel Foreign Ministry chief of staff. He edited the Jerusalem Center eBook Iran: From Regional Challenge to Global Threat.